Interested in how big data can help law enforcement? A new article from City Journal, ‘Big data on the beat ’, discusses how technology and big data can anticipate and prevent crime. It explores how police departments in the US are using predictive policing not only to increase arrest rates, but also to anticipate criminal activity in high risk areas and establish crime prevention measures. If you’re interested in reading more about predictive policing, take a look at this article  published by Forbes last month. A new video has revealed that Dutch police are training eagles and hawks to intercept and take out illegal drones. 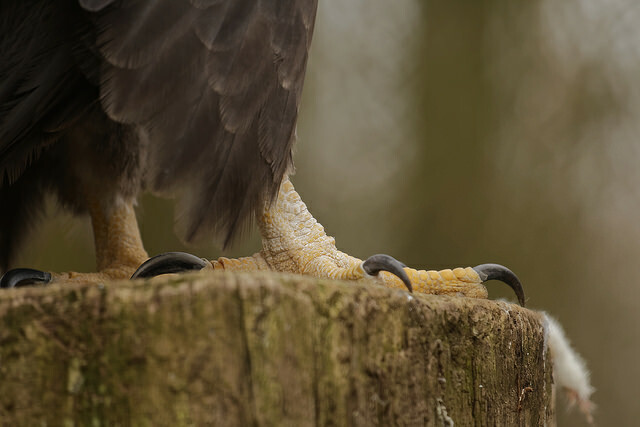 Dutch law enforcement agencies are working with Danish eagle training company, Guard from Above , to train the birds to identify drones, take hold of them mid-flight using their talons and then to fly away with them. According to The Telegraph, ‘the Dutch National Police is currently just trialling eagle defence ’ for use in situations when using another drone to intercept is too dangerous. Watch the video  in full over at Foreign Policy. The US State Department is undergoing a hefty restructure in order to consolidate CT efforts into one bureau . The new Bureau of Counterterrorism and Countering Violent Extremism will engage with foreign governments on terror prevention, and be furnished with a foreign assistance budget of nearly US$400 million. Areas of high priority include North Africa and Southeast Asia. At the same time, the Pentagon is seeking a roughly 35% increase in funding  for the fight against Daesh in the next fiscal year (from October 1). The number exceeds US$7 billion, with $1.8 billion going toward replenishing stocks of ‘GPS-guided smart bombs and laser-guided rockets ’ to target Daesh fighters. A recent CSIS-hosted panel discussion on terrorism  examines a variety of topics, including but not limited to: impacts of the Presidential race on future CT policy, developments in Libya and online radicalisation. Check out the video on CSIS’ YouTube  channel, or in audio format here . Greece’s border with Turkey has made it an accessible transit point into Europe for many Syrian refugees. Now that a number of European countries are increasing border controls, both locals and refugees alike are concerned that a huge population of refugees  will remain trapped in Greece. The EU has also issued a three-month ultimatum  to Athens to improve its own border protection measures or else be suspended from the Schengen passport-free travel zone. In a similar vein, the US has ramped up pressure on Turkey to secure its porous border with Syria, fearing Daesh will continue to use sections of the border as its gateway into Europe, thereby exposing European cities to terror attacks. DefenseNews reports that the US is expected to offer support to Turkey , including border security technologies such as surveillance balloons and anti-tunnelling equipment, to improve Turkish capabilities. ASEAN has affirmed the importance of improving regional cooperation  in disaster resilience efforts. Adelina Dwi Ekawati Kamal, head of the Sustainable Development Directorate in the ASEAN Secretariat’s Socio-Cultural Community Department, emphasised the ‘socio-economic cost’ of failing to adapt to the increasing frequencies of extreme weather events, at the ASEAN–China Seminar  in Cambodia this week. President Obama signed an Executive Order  this week to establish a federal earthquake risk management standard in the US. The order mandates  that the federal agencies must adhere to earthquake-resistant building codes when constructing or re-constructing a building. That coincided with the White House Summit on Earthquake Resilience , which convened federal, state, private and academic representatives to promote the implementation of a new earthquake early warning system. The Zika virus  has been declared a global public health emergency by the World Health Organisation (WHO). Margaret Chan, WHO Director General, made the announcement  on Monday and emphasised the importance of a coordinated global response. Experts suggest there’s a very low chance  of the virus posing a serious threat to Australia, however the recent confirmation of two cases  in New South Wales serves as a reminder of the importance of risk mitigation and public health resilience. Check out this handy infographic  from The Washington Post for all you need to know about the Zika virus. Mercedes Page, James Mugg and Zoe Hawkins are research interns at ASPI. Image courtesy of Flickr user bzd1.